It’s nice that the cooler weather has set in now as it means I can finally start wearing cute autumn outfits like this one (worn yesterday for a lunch date and Disney on Ice). 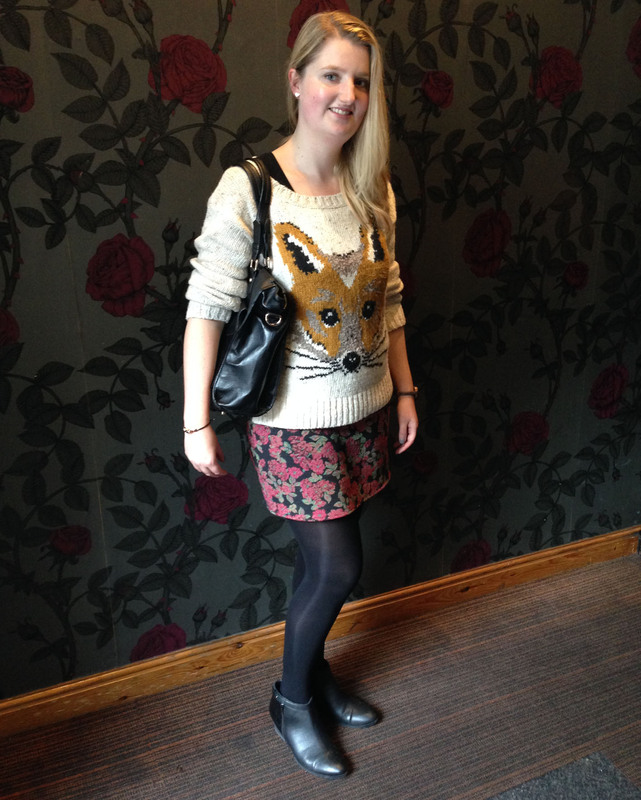 I just love this fox jumper which was sent to me by Tu at Sainsburys – it’s so cozy and cute and I’ve received a compliment about it each time I’ve worn it! 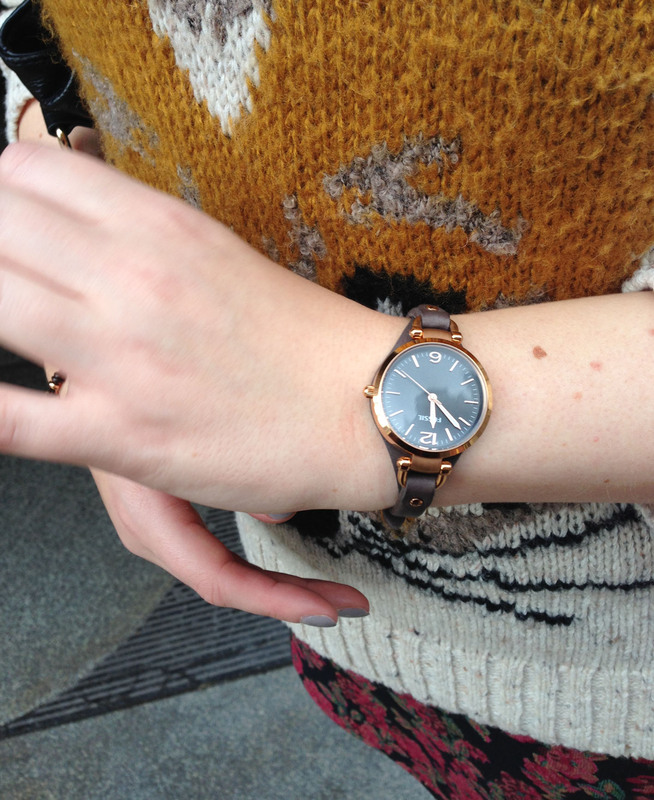 Seriously – yesterday I was stopped randomly by a woman at Disney on Ice to ask where I’d got it from! I’ve seen a few foxy jumpers about, so it’s clearly going to be a popular wardrobe item for autumn, and I’ve been eagerly waiting for the weather to become autumnal to finally wear mine. I thought it was a nice combination with this floral tapestry skirt, creating a nice smart casual look for a lunch date. 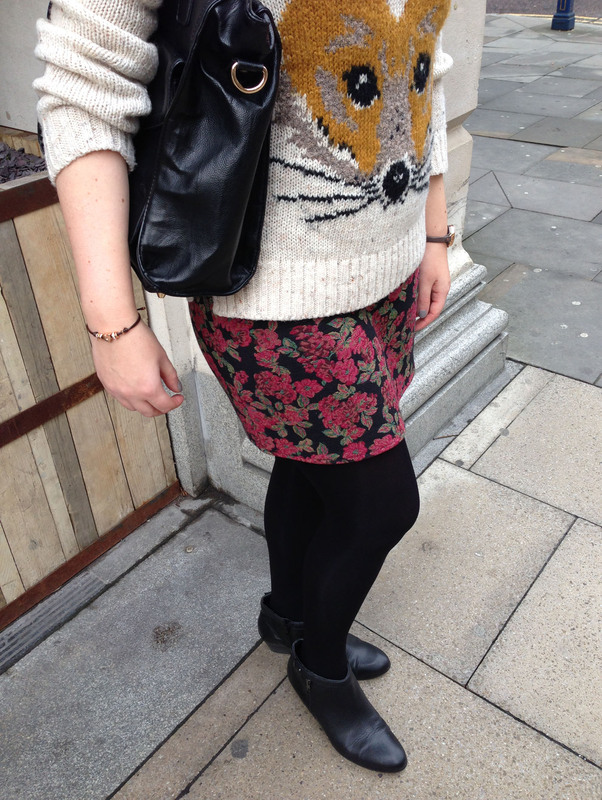 The skirt was a complete impulse buy which I picked up to update my wardrobe for autumn. I like the tapestry texture as well as the winter floral print. 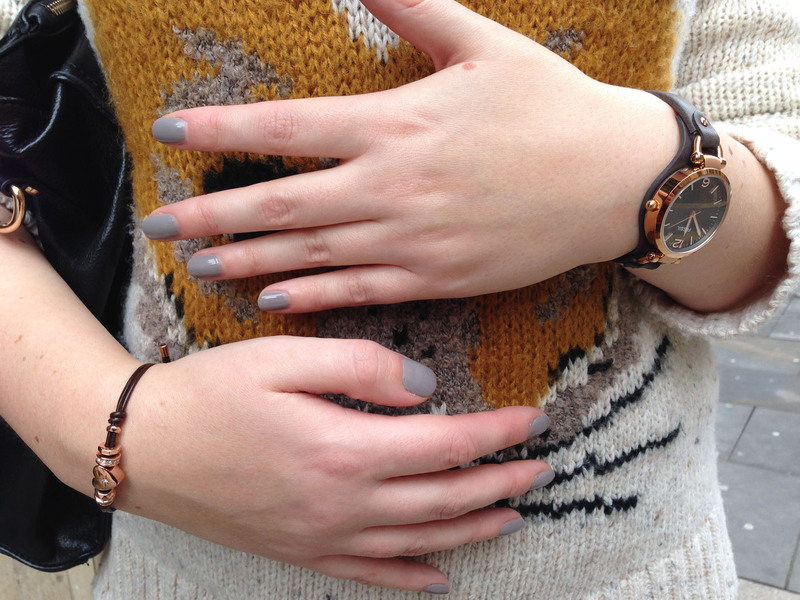 If you follow me on Twitter or this blog you may already know that I won Fossil’s “Arm Party” competition, and this watch was my prize! 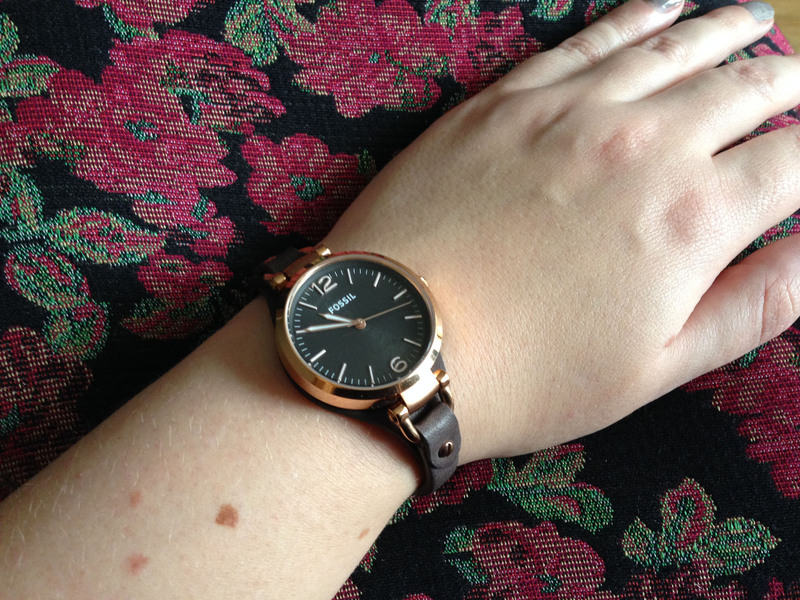 I love it so much – it’s classic and versatile but also very striking with the dark face and slim leather strap combined with the rose gold tone. I never win competitions so I was very very excited about this one! 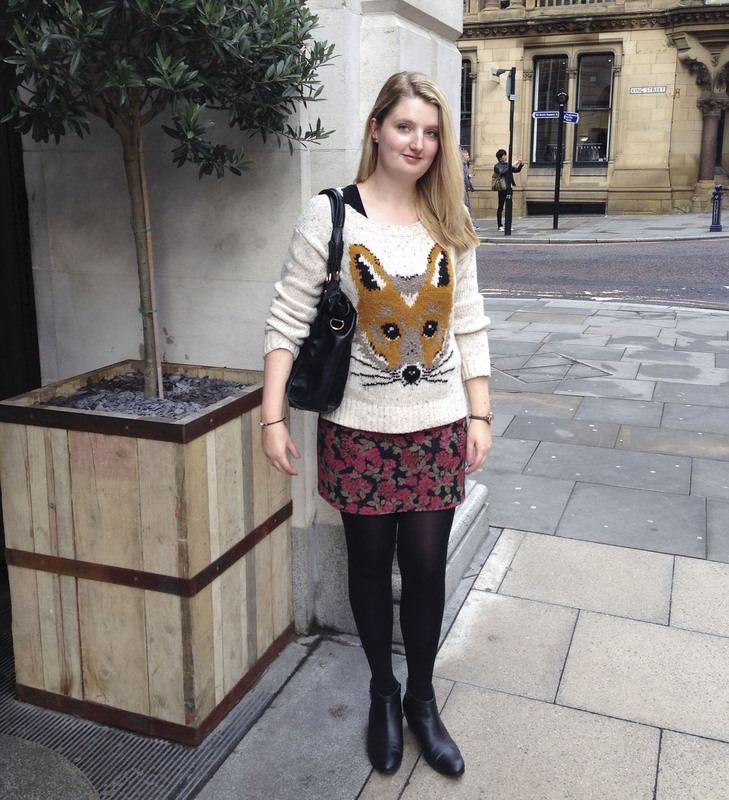 I love the fox sweater! It’s so much fun and I love fun outfits! I have a fashion blog if you want to check it out http://thegeekchickblog.wordpress.com/. You’re awesome! I love your jumper! 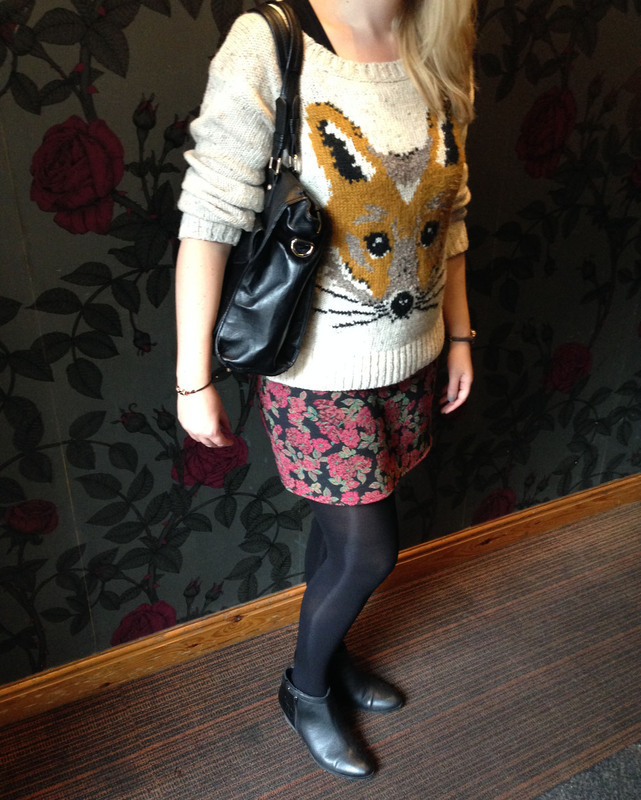 I am quite fox obsessed and even blogged about it the other day!